*✰ Kawaii Fuku ✰*: Blast Your Holiday with Lancôme! 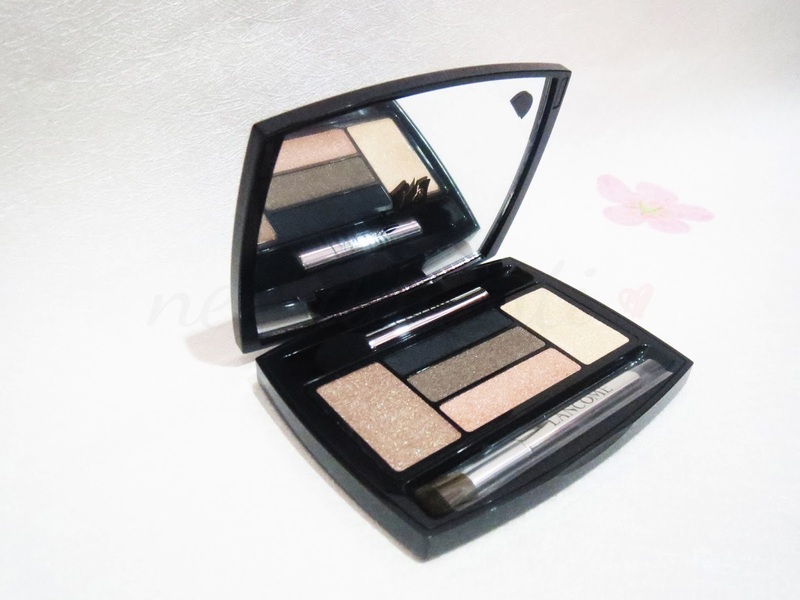 This is a great eyeshadow palette that I've ever had so far. It has many shades that can match with every wardrobe colour you have or every occasion you attend. FYI, I have one doll palette and one star palette. 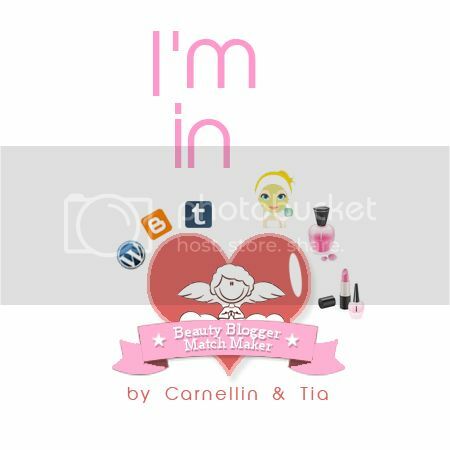 Both in warm brown shades and it's really wearable for daily makeup, no makeup makeup or even for a party! This one is my favourite. It's Hypnôse Palette in Terre D'Ivoire. 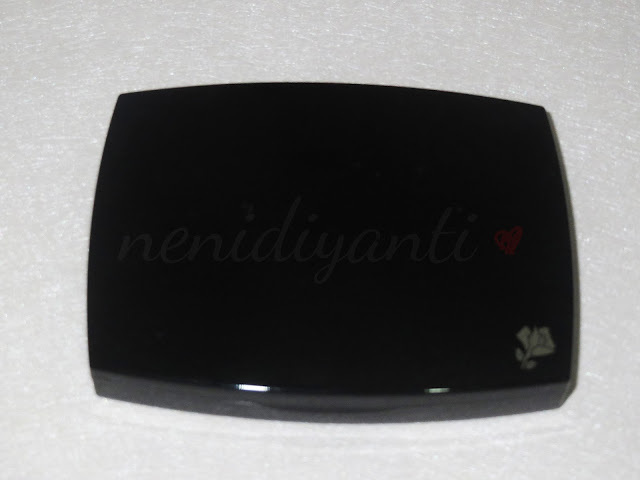 I bought this one from SOGO Mall Kelapa Gading. 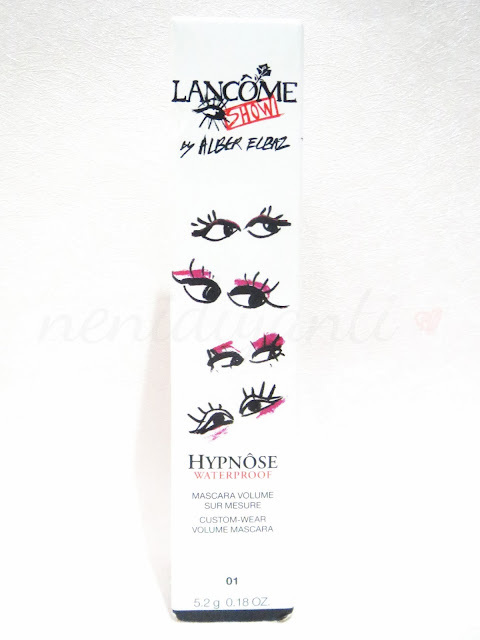 I often buy Lancôme's products there since it's the nearest store from my house LOL. The BA named Emmy and she is really really nice, a bit talkative but really helpful. 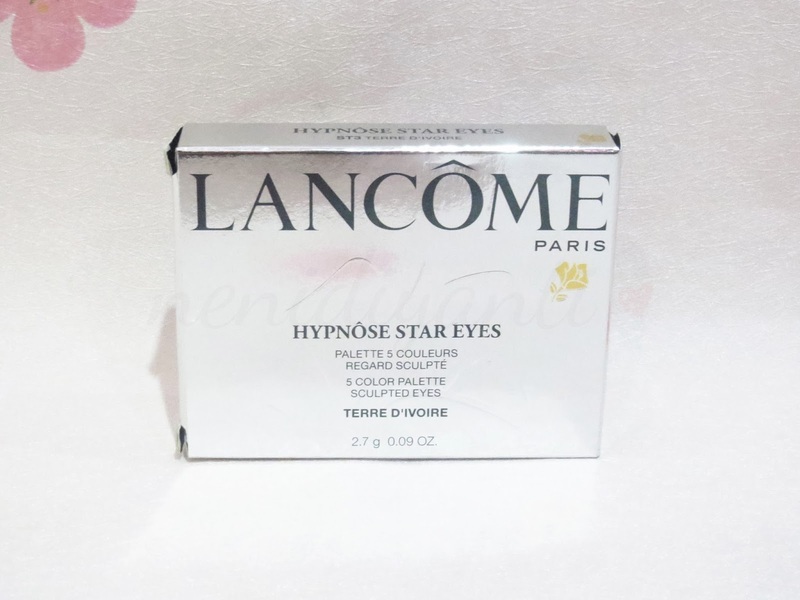 Most of Lancôme palette has a simple packaging and so does this one, covered with all glossy back colour with a gold Lancôme's rose printed on it. On the back side, written the most important information (as for me), the palette code. I got this one in ST3 Terre D'Ivoire. ST code means it came from star palette collection. FYI, star palette collection has three different palette with three different shades. And mine is a warm brown one. When you open up the palette, you'll find the gorgeous shades with two applicator. And yes, as it still a new one when I took this pic, you can see that the mirror seal is still attached on it. But, as the time goes by and I've used this palette for so many times, I never peel off the seal though LOL. The shades basically are warm colours. 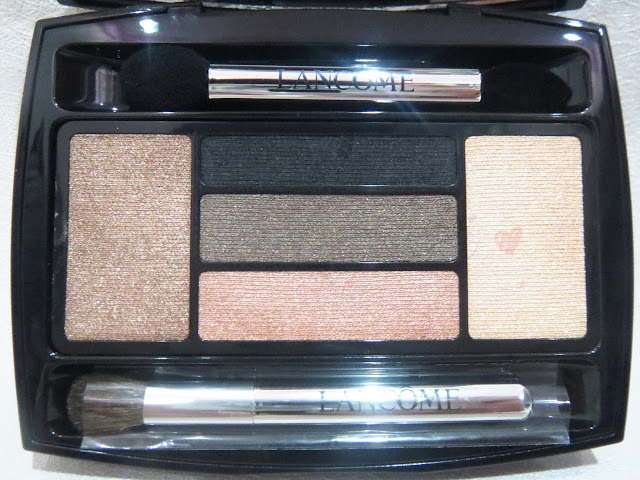 I love how Lancôme combines these colours in a one palette! And this palette is so special. 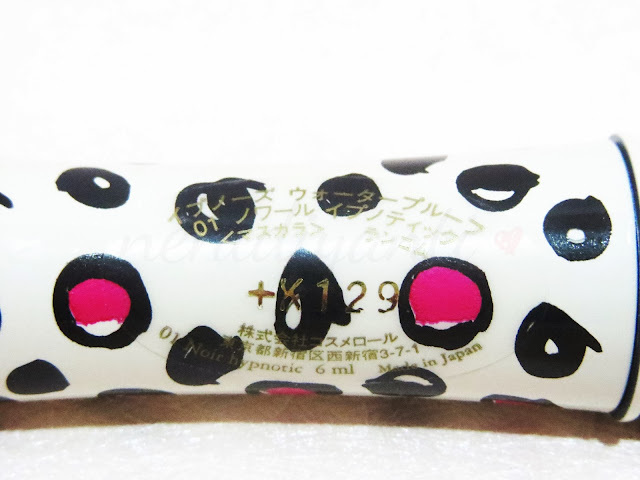 First - because it has magnetic feature, the applicator won't drop even if the palette is in inverted position. Second - it can be applied in two ways, the dry one and the wet one. 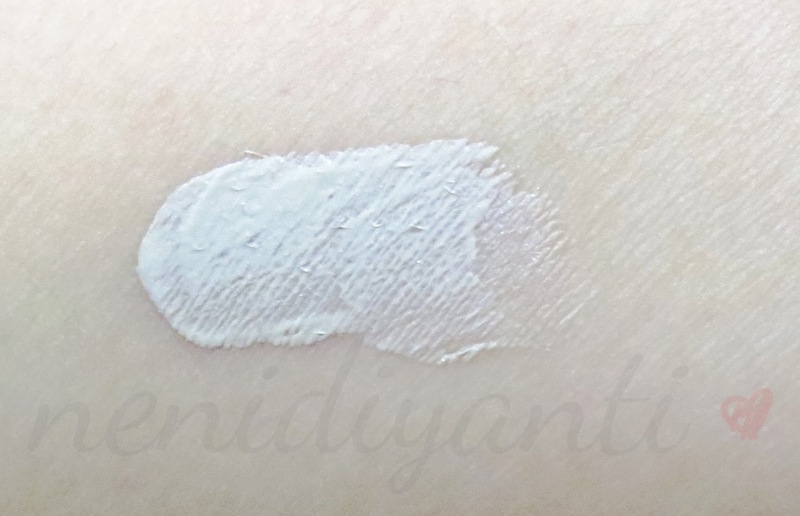 Dip the applicator into a wet sponge and apply the eye shadow with a wet applicator, it will give you more vibrant colour and long lasting one. 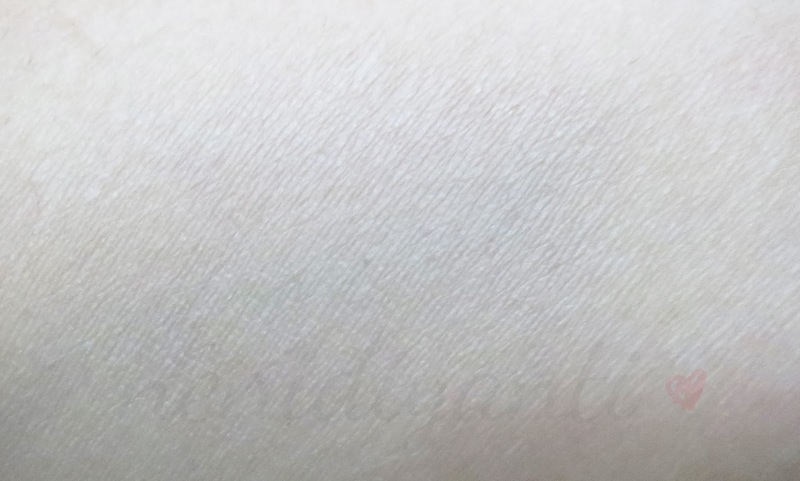 Third - it has perfect shades combination in one palette. 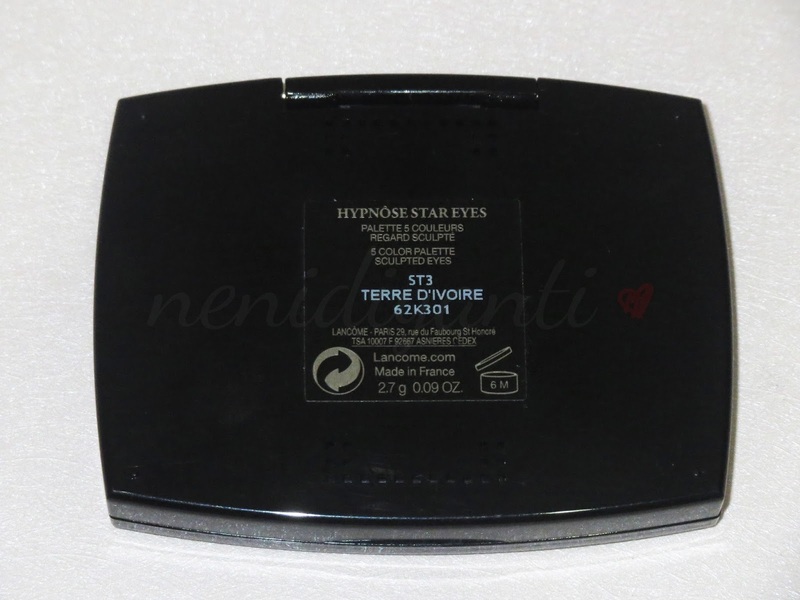 FYI, in all Hypnôse Palette there's always one shade that can be used as eyeliner and one shade that can be used as brow highlighter. And you can create different eye makeup with all those colours. All you need is creativity! Talk about the swatch, you can see how beautiful they are. 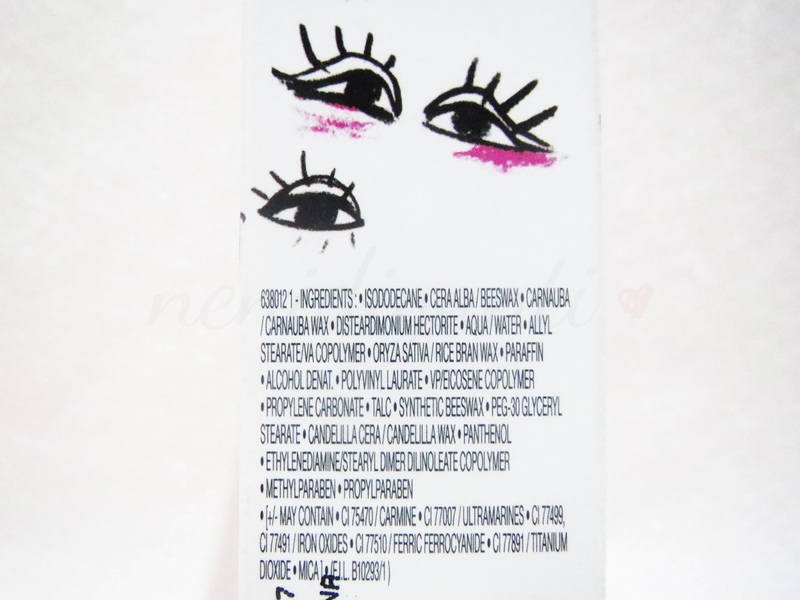 This is perfect for either a daily makeup or party. They are all shimmering and I must admit that I love shimmering ones! Under the flash, I find the shades look more vibrant and better. 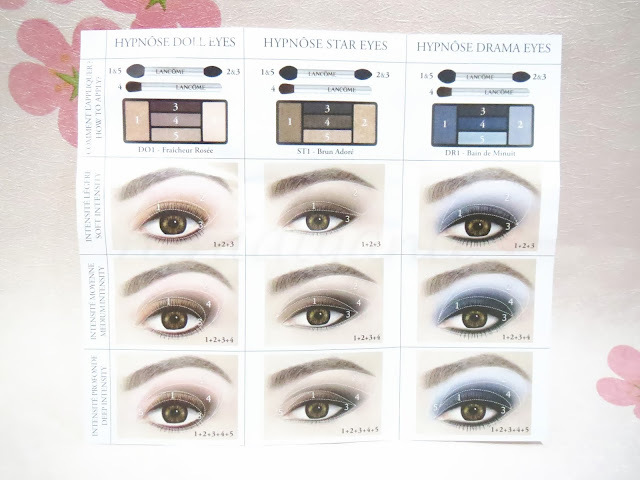 In every pack of Hypnôse Palette, there's a guide to achieve Hypnôse look using Hypnôse Palette. But, you can use your imagination and creation to create more eye makeup that suits you perfectly. The BA gave me this sticker when purchasing. This can be affixed onto your mirror to help you using the Hypnôse Palette if you gonna create basic Lancôme Hypnôse look. 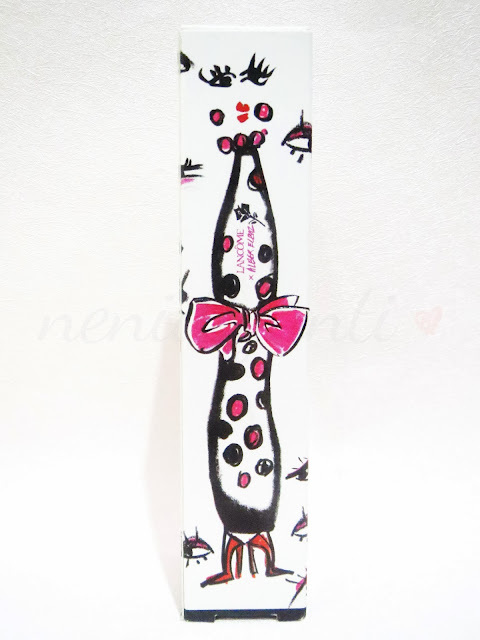 Even the box is so cute with Alber Elbaz design (*≧∀≦*) Make me can't throw this box away LOL! The ingredients is written on the box too! Look! It's made in Japan! (　ﾟ　ω　ﾟ　) ! ! It surprised me a lot because I never know that some of Lancôme's products is made in Japan. So this is the wand. 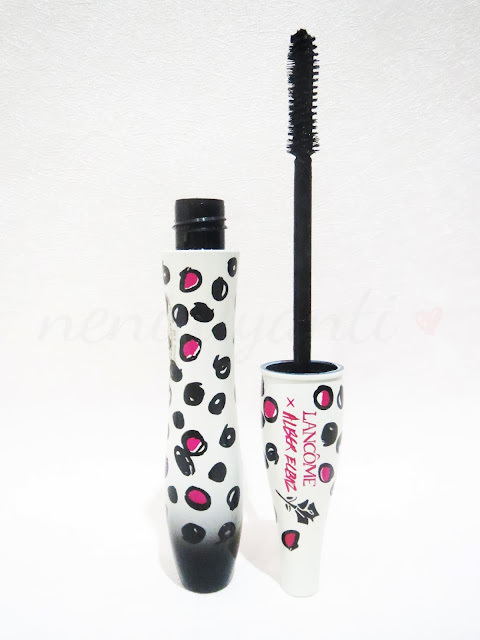 I'm not good at describing this wand, but this mascara will give more volume to your lashes and lengthen your lashes. Good news, it's waterproof! So don't worry the heat, the sun or your sweat will ruin your holiday and messed up your makeup. 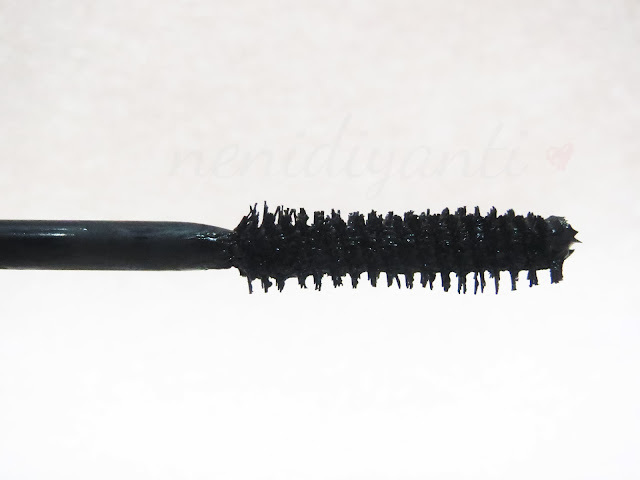 This one will last long on your lashes. I've worn the Lancôme Hypnôse mascara in Betty Boop Edition during my last holiday and it stays all day long. 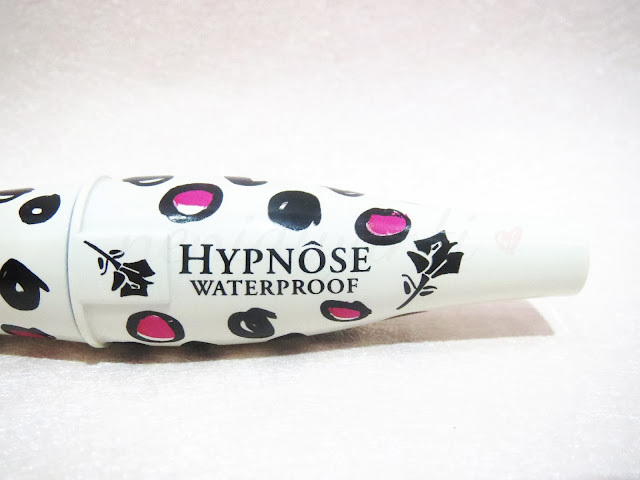 Even the heat and sweat can't tear it off from my lashes! *mulai lebay* And my lashes was still beautiful from day to night. 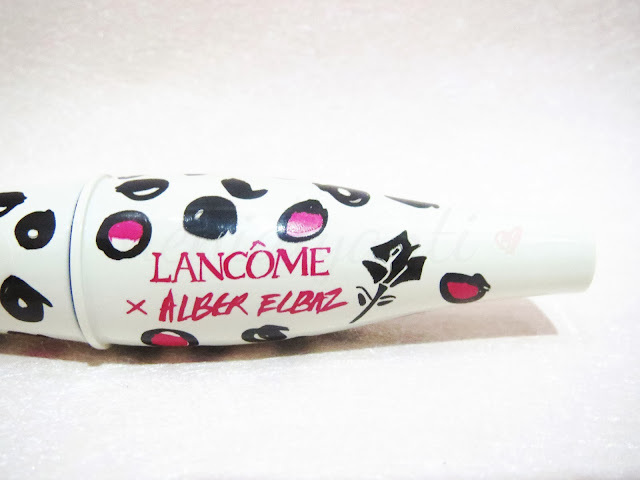 Thank you, Lancôme for invent such a great mascara! Beside those two, I'm currently in progress to saving up some money for this one. Yap, it's BB Complete. 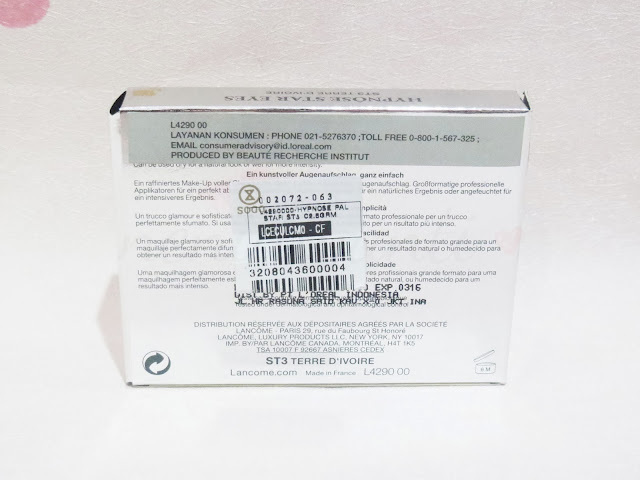 Basically it's a BB cream with UV protection. 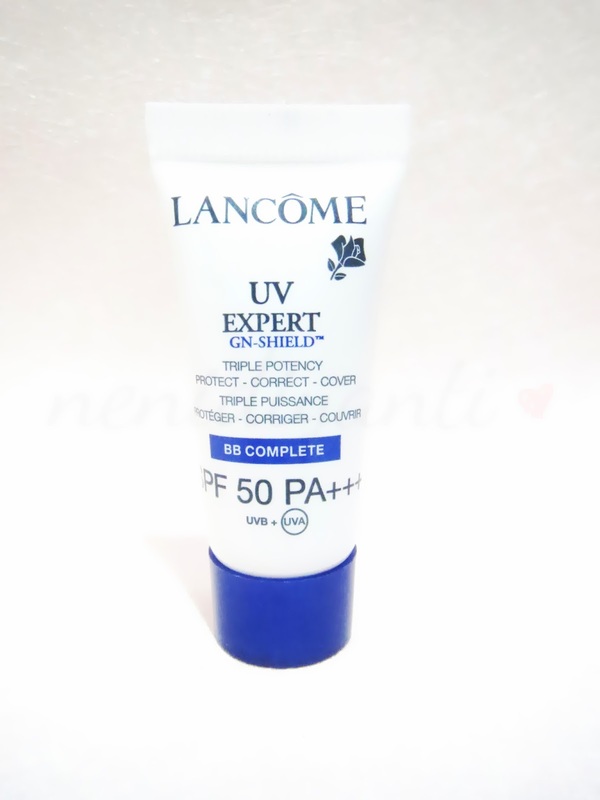 It has SPF 50 and PA +++ which is enough to protect your skin from UV outside. I think Lancôme only has one shade for this BB cream, but thank God it match with my skin tone. Surprised the whole family with your 'younger' and cute appearance when they gathered this year! 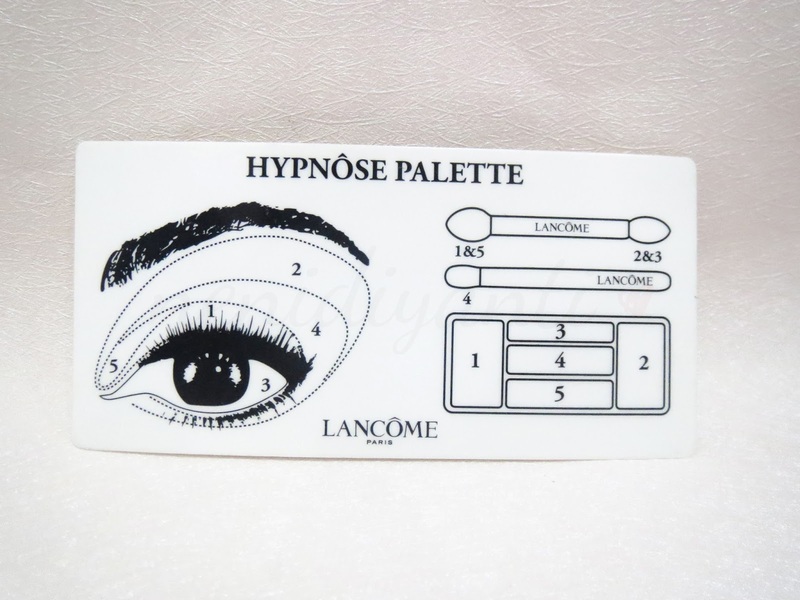 Since Lancôme Hypnôse Palette (ST3) has five shades in one palette, I decided to make this chart to help you done the makeup tutorial below. As for holiday, I prefer to wear warm brown colour for makeup because I think it will match with my red or dark cherry (psst.. dark cherry colour is "in" now) attribute for Christmas! Yay! Just can't wait til Christmas! By the way, my mom always think that Lancôme is for 30 or above. I used to have the same thought with her, until one day I surprised her with a cute or no makeup makeup with Lancôme's products that she had! HAHA! See? 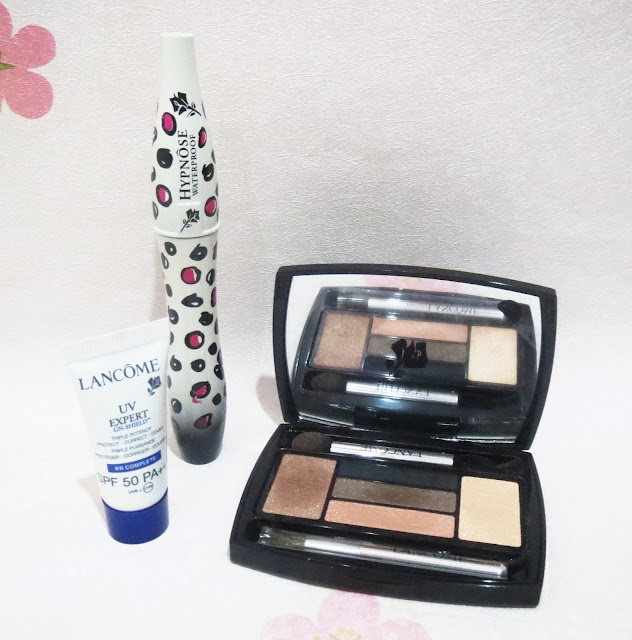 Even teenager can use Lancôme to create a "younger" look! We both adore Lancôme, but my mom's collection is much more than me (ugh, Lancôme is so expensive for my pocket money), so sometimes I 'steal' her collection and never return them until she realized that something missing from her vanity LOL. 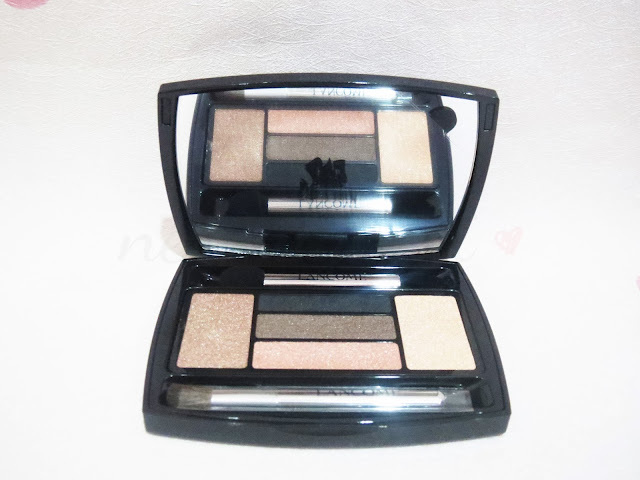 And now, we both crave for Lancôme Holiday 2013 Collection! Look at the silver packaging! It shimmers like a diamond yet depict a holiday feeling.